Its getting weirder by the day. 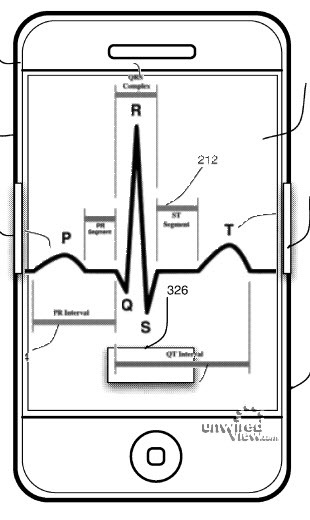 Apple now is filing a patent application over a new electronic device that it claims will be integrated into its devices which can read and sense user’s cardiac activity. Apple also claims that the sensor will be hidden from the view and that it would sense the cardiac signals from the users skin. Using these signals, the device and identify or authenticate the user and perform an operation based on the identity of the user. This seriously is 2020 stuff! Apple also suggests that the device can make the iphone, iPad or what ever it is used in to provide mood-related data from the cardiac activity. The device is still in conceptual phases and it looks like it might be used to identify a user or unlock the phone only if the right person uses it – quick thought, won’t a finger print reader do the job? Although sounds like a nice new thing to play around with privacy is always and will always be an issue. What information is being picked up by Apple if such a device were to ever be available. Can it detect lies? What about health information, can it detect heart problems? Next thing we know Apple is trying to control the usage of its devices and is subject to probes like this one. You can read more about the patent application here. Previous Google Goggles – very cool – is out!